Two new DAB+ services are launching this month in North West, celebrating the 1980s. Love 80s Manchester and Love 80s Liverpool will also be available online. The stations will operate as seperate services. DAB+ stations are not available on older DAB digital radios. 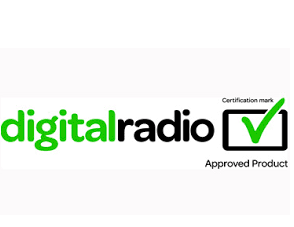 Radio buyers should look for the Digital Radio Tick Mark (shown below) to guarantee DAB+ compatibility. The stations will appear on the Niocast Manchester Trial multiplex and the MuxCo Wrexham, Chester and Liverpool multiplex.